1 of 5 study segments. There are between 14 and 18 expressions per Study Segment. 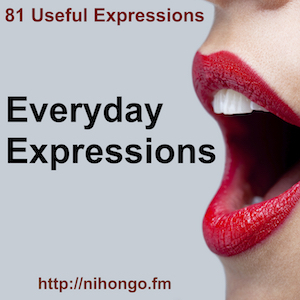 Total of 81 Everyday Expressions in all 5. Copyright © 2016 nihongo.fm. All rights reserved.